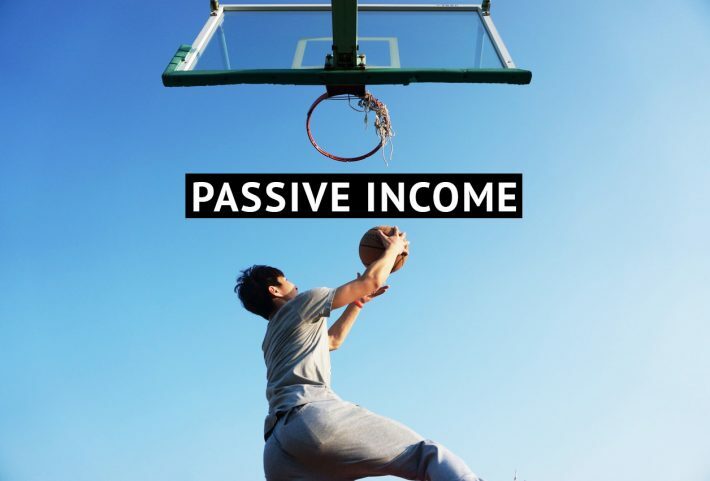 Passive income has gained more exposure in recent years with people talking about it left and right, but not many people understand the benefits of passive income beyond the obvious. Yes, it’s awesome to make money while you sleep. Yes, it’s exciting to have enough time to do what you want, but these aren’t the biggest benefits of passive income. 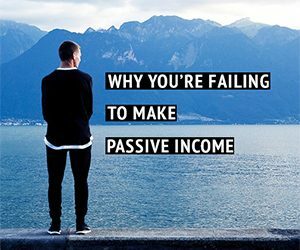 I’m going to explain the more important reasons on why passive income is so important, the reasons why everyone should have passive income or be actively creating passive income for themselves. Retirement planning is a big headache for most, and it shouldn’t be, but when most people know nothing about wealth creation and think saving money is the only thing they need to do for retirement…well. you’re going to have a rough retirement life. Saving away a nest egg isn’t reliable nor smart because it leaves you vulnerable to sudden changes in both your personal life as well as the overall economy of wherever you live. A recent study of over 3000 American baby boomers found 70% of them feel their retirement savings aren’t enough. That’s a shocking and scary statistic to have 70% of a generation to feel inadequately prepared for retirement. A generation that’s supposedly the wealthiest compared to all the rest of us. The fact of the matter is, most of us have been taught to simply save money away for retirement and that should be enough to see you through your golden years if you work long enough and save enough. But even if you do save diligently and work until the recommended retirement age, most people don’t realise unexpected expenses happen more often as you age. Car repairs. Home repairs. Medical bills. Or in the very unfortunate situation of modern life, an adult child unable to finance themselves independently. Many underestimate how much they need to save. State pensions all around the world are on the chopping block. Government treasuries are getting smaller and budgets are getting slashed. This is bad news for anyone thinking about relying on the state to provide for them in old age. As the life-span of people are getting longer, many countries are opting to raise the retirement age to qualify for a pension. Sure, we’re living longer, but that doesn’t mean we want to work for longer. Why would anyone want to work more years and pay more tax to only get a smaller pension (if any) in return? An alternative to a state pension is a retirement savings scheme such as the 401K. These schemes act as a tax deferred method of saving, and investing your money into funds. The idea is that in general, funds will always increase in value since all markets increase in value over the long term. In general your 401K should be able to store the value of your money, but if you’re very unlucky and end up retiring during an economic downturn or crisis, then the value of your 401k won’t be great. Creating passive income streams on the other hand means you have cashflow. Cashflow is different from savings because you’re getting an amount on a regular basis. There is something coming in and it’s not much different from getting a pay check. Except you’re not actively working. This is why it’s a safer retirement plan. I haven’t retired officially and I enjoy taking entire months off whenever I want because I know my passive income streams will pay me regardless if I work or not. It becomes easier to plan your expenses. It’s easier to handle unexpected ones as well and your over all financial security becomes stronger. Most people know the wealthy seem to enjoy more flexibility with their taxes. This is all because they understand the different types of income are not taxed the same way or at the same rate. Passive income in most incidents are taxed at a lower rate or can be easily deferred for a later date. Some forms of passive income and portfolio income in Hong Kong, where I’m based in, are not taxed at all. The tax rate for passive income is different all around the world, but the common trend is for active income to be taxed the highest. The ordinary salary earner doesn’t have the luxury of lower rates or the ability to defer tax payment. 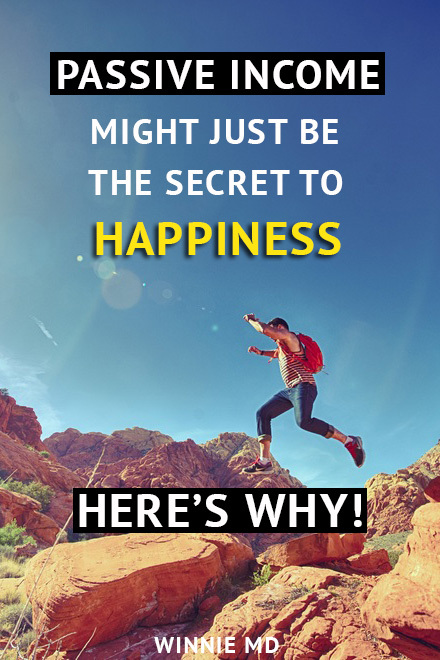 One of the biggest reasons for this is because this form of income is the simplest in structure. You put in x amount of time for y amount of money. The government then taxes you at z rate. There isn’t any wiggle room in the above situation and because of that the whole thing is very straight forward. Having passive income streams instantly open up your money management options and you can restructure your finances to suit your situation best. Now, everyone who earns enough should pay taxes but getting taxed a lower rate means you can leverage your cashflow better, which leads me to the next benefit of passive income. All forms of passive income require upfront time and effort before you can casually leave it alone and enjoy a steady cashflow from it. But that’s the key point. There is ALWAYS a point where you can casually leave it alone and enjoy the cashflow passively. Take your money from a day job and invest in a low risk high yield stock. Upfront effort. Save for a downpayment and buy a rental home that can cover the mortgage and maintenance. A lot of upfront effort and a lot of time. 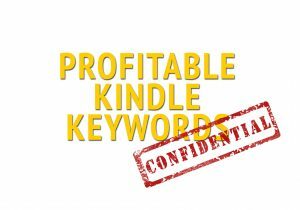 Building a blog from scratch and earn Adsense or affiliate marketing commissions. Upfront effort and a lot of time. BUT, they all give you the chance to eventually lower the amount of effort and time to nearly zero. So now you have more disposable time and more effort to spend, what do you do? 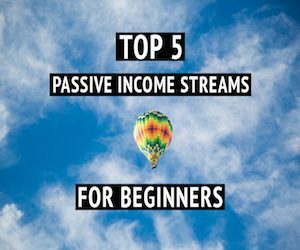 You create another stream of passive income. And you can repeat this for as many times as you want. Your wealth will increase faster and you’ll be able to accumulate wealth much more efficiently compared to a day job. The only chance you have at building more wealth from a day job is from a salary raise, promotion or you save a good sized nest egg to invest your money in some form of portfolio income. i.e stocks, and property. Almost all other forms of portfolio income or passive income are out of reach unless you’re willing to work the equivalent of two jobs. For examples, your day job for active income and a side hustle to build a passive income stream such as a blog. 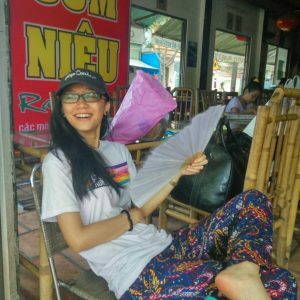 But I’ve already talked about how passive income never works as a side hustle situation here. 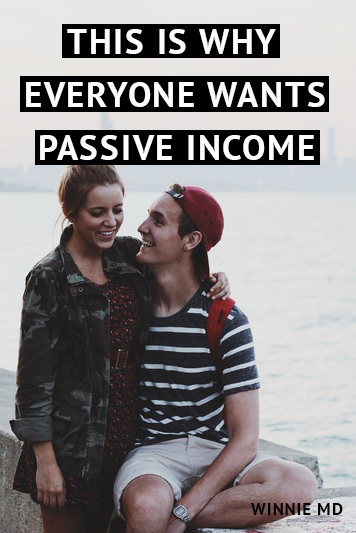 Passive income means not needing to live pay check to pay check. It means not worrying about retirement or big life expenses. It means not having financial worries. I’m not talking about working less hours in the big picture of things or having the freedom to travel more. I mean better health and better relationships. 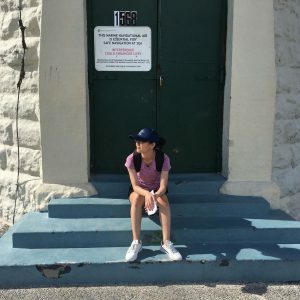 It’s a common theme for modern lives to lack emotional, mental and physical health and each new generation seem to struggle with making meaningful relationships and friendships. Passive income can improve all of that for you. It sounds like an overstatement, but it’s true. The time and energy you spend in a normal day job forces you to cut back on other areas of your life. You don’t care about what you eat as much, you just need something quick and cheap to fit your lunch break. You wake up feeling like you can’t wait to go back to sleep. The last thing you have the energy for is to hit the gym 3 times a week. Your back hurts from sitting down all day, or your legs hurt from being on your feet all day and most work environments include a lot of mental stress. But bills got to be paid and everyone has to eat so your active income job is your upmost priority. Most people give too much of themselves into their jobs, they lack the time and energy to nurture the other equally (if not more) important aspects of life. I know for a fact my relationships in life wouldn’t be as good, my mental health would be nowhere as good as it is now and my physical health would have gone down the drain if I relied on active income like everyone else. Passive income frees up your time and energy to channel it on things that really matter in life. 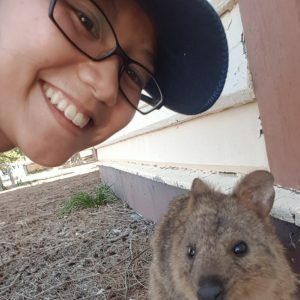 It’s pretty easy to see why I’m such an advocate of passive income and why I know you’ll want to create your own passive income, if you haven’t already. Did you enjoy this post? If you did, please take a moment to use the social media buttons at the bottom to share this with friends, family, colleagues, your neighbour’s cat, anyone with access to the internet 🙂 Thanks! 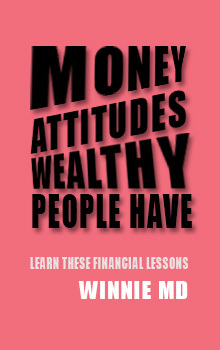 Learn what rich people are teaching their kids. Get your FREE guide delivered to your inbox! Check your inbox and click the link to start learning how you can approach money the same way as rich people do.